The world consists of multiple ethnicities that often go unacknowledged. Ethnicity is a large portion of a person’s background, so when individuals become miscategorized, it is upsetting. 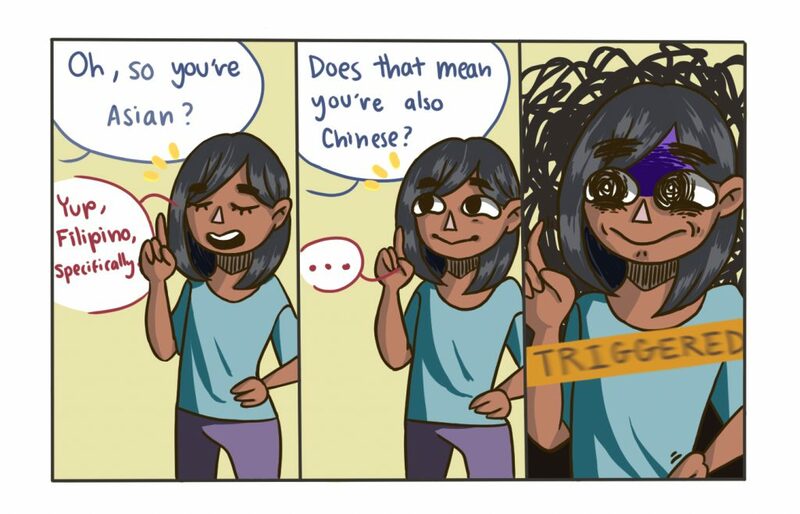 A popular assumption is that every Asian is Chinese, but this is inaccurate. With over 40 different countries that lie within Asia, there are multiple ethnicities that are often disregarded. Although only six percent of America’s population is Asian, the Chinese ethnicity forms the largest percentage of Asians in America, with 25 percent. This could lead to the idea that almost every Asian is Chinese, due to the large percentage they hold. Japanese, Vietnamese, Korean, and depending on point of view, Filipino form the remaining 75 percent of Asians in the United States. They often are overshadowed by Chinese ethnicity and need to be further recognized as their own individual ethnicities and stop being grouped as a single ethnicity. Similar occurrences are prevalent in Latino culture as well. A majority of Latinos are perceived to be Mexican, despite the fact that there are over 30 different countries in Latin America. 17 percent of the United States population are Latino with approximately 65 percent of these Latinos having Mexican ancestry. The remaining 35 percent are often overlooked as society tends to categorize all Latinos into a single ethnicity. Instead of acknowledging the various different groups, there is a tendency to focus on one. This leads to the misrepresentation of Guatemalans, Peruvians, Salvadorans, Puerto Ricans, Cubans, and other Latinos as Mexicans. It can often be annoying when a person’s ethnicity is ignored in favor of the ethnicity with more exposure. The announcement of race often leads to the assumption of a person’s origin. Race refers to the physical characteristics of an individual that divides society into different populations. Ethnicities are focused on the cultural factors of an individual’s background, including their ancestry, language and nationality. When attempting to explain the ancestral roots of their family, individuals occasionally find themselves in an argument as to whether or not their background is valid. This is an upsetting conversation that needs to change, as individuals begin to learn and respect the viewpoint of those with different ethnicities, instead of reflecting their own perspective. Filipinos are one of the groups that find themselves defending their beliefs of ethnicity. Despite their location in Asia, with territory over 7,100 islands, Filipinos are often viewed as Pacific Islanders. Due to American and Spanish cultivation, which lead into racist sentiments, some identify as Pacific Islander, rather than Asian. However,when other people of society decide to disagree with their opinion, it is extremely disrespectful. The clear and blatant disregard of their opinion is astounding. While this is a problem prevalent to both Asians and Latinos, it also affects multiple other races with their own ethnicities, including Europeans and Africans. We should respect the different backgrounds of our peers and stop the assumption of the variety of Asian and Latino ethnicities.